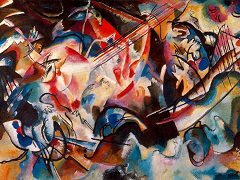 An early champion of abstract painting, Wassily Kandinsky is known for his lyrical style and innovative theories on nonfigurative art. 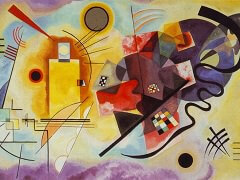 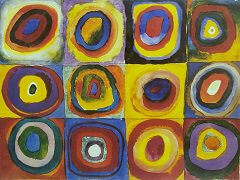 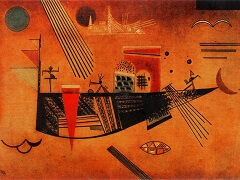 In his 1910 treatise Concerning the Spiritual In Art, Kandinsky made famous his belief that abstract colors and forms can be used to express the "inner life" of the artist. 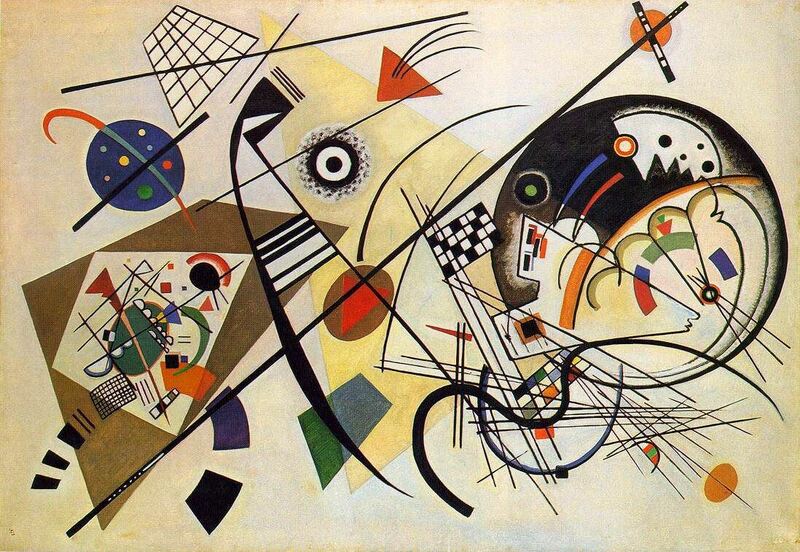 Kandinsky taught this and other lessons at the Bauhaus, the historic Weimar institution that brought together artists including Joseph Albers, Paul Klee, and Piet Mondrian, amongst others. 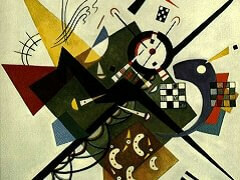 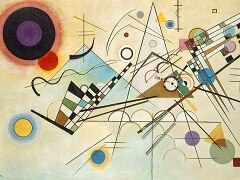 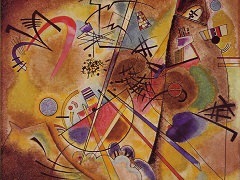 Kandinsky had a strong interest in the relationship between art and classical music, this theme apparent in his orchestral Composition VI (1913), where colliding forms and colors move across the canvas. 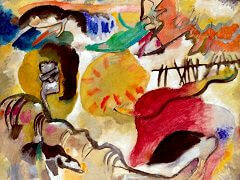 In 1911 Kandinsky played a central role in organizing Der Blaue Reiter, a group of artists named in part after Kandinsky's favorite color, blue.